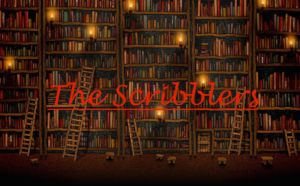 Tales Q&A with Lisa Heathfield and Me! 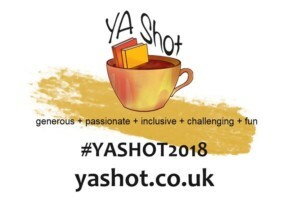 Today is my stop on the fab #YAShot2018 Blog Tour and I have been paired with the wonderful Lisa Heathfield! YA Shot is an author-run, author-led Young Adult and Middle Grade festival that raises the money and resources to run a year-long programme pairing libraries and schools for free author events to foster a love of reading, inspire a passion for writing, and encourage aspirations to careers in the Arts. 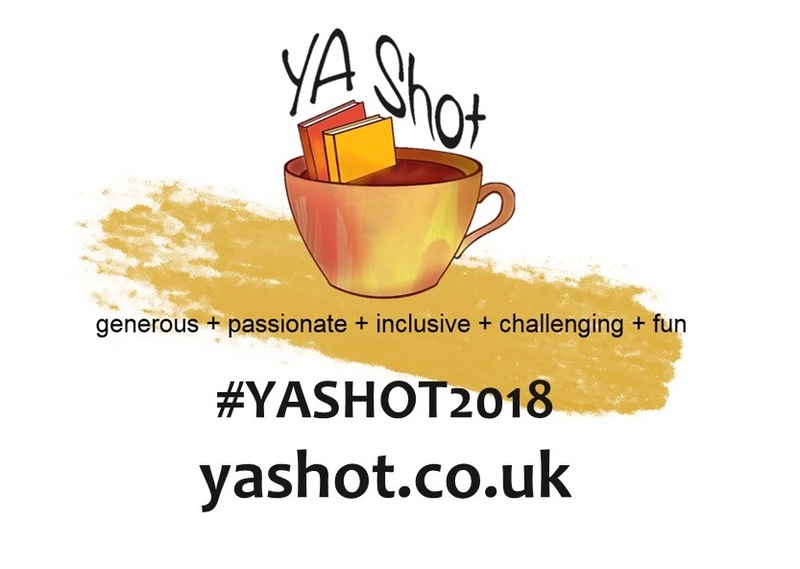 We believe in equal access to books and opportunities for all – YA Shot brings UKYA and UKMG authors together to pursue that goal, supporting libraries and young people across the country. 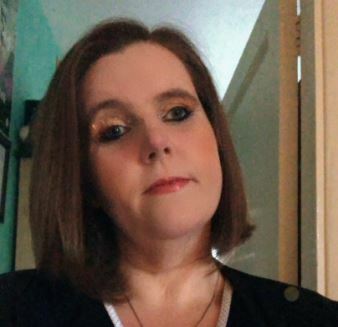 So for our stop I wanted you all to get to know a little bit more about Lisa and in turn Lisa thought it would be fun for people to know me a little better too…. ‘Trust Us’ the Kindreds tell Pearl and so she does. 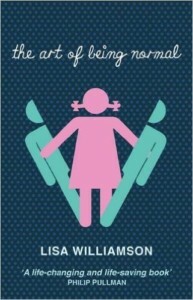 A thrilling story of life in a cult. 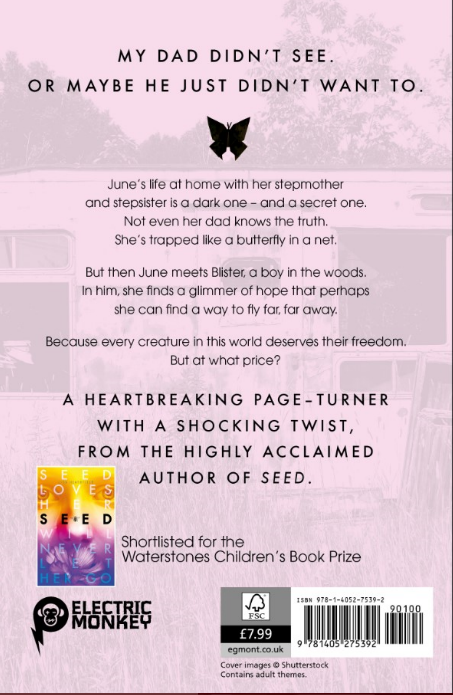 A chilling and heartbreaking coming-of-age story of life within a cult, Seed was shortlisted for the Waterstones’ Children’s Book Prize in 2016. 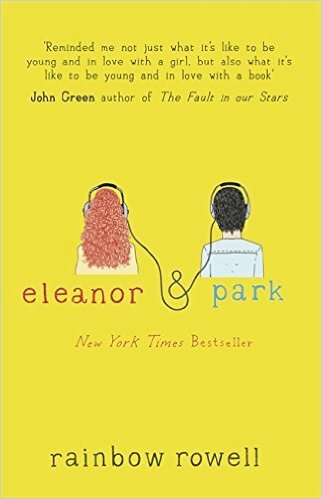 Stand By Me meets We Were Liars – a heartbreaking and stunning breakout novel for teenagers from the award-nominated author of Seed. June’s life at home with her stepmother and stepsister is a dark one – and a secret one. Not even her father knows about it. She’s trapped like a butterfly in a jar. But then she meets Blister, a boy in the woods. And in him, June recognises the tiniest glimmer of hope that perhaps she can find a way to fly far, far away. But freedom comes at a price . 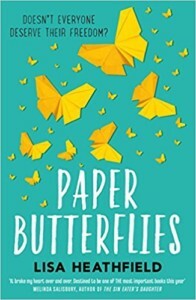 . .
Paper Butterflies is an unforgettable read, perfect for fans of Lisa Williamson’s The Art of Being Normal, Sarah Crossan’s Moonrise, Jandy Nelson, Jennifer Niven and Louise O’Neill. 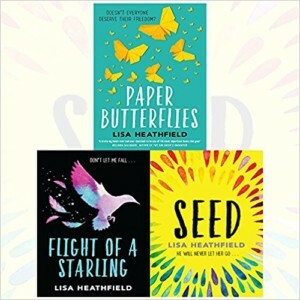 The stunning new novel from award-shortlisted Lisa Heathfield, author of Seed and Paper Butterflies. 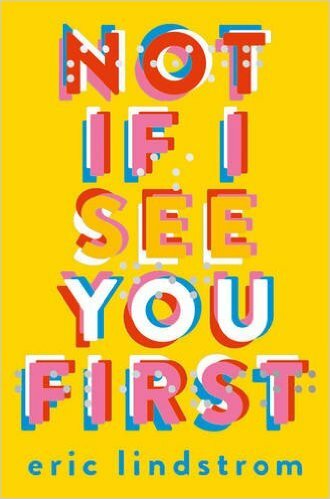 Perfect for fans of Jennifer Niven’s All the Bright Places, Lisa Williamson, Sarah Crossan and Sara Barnard. 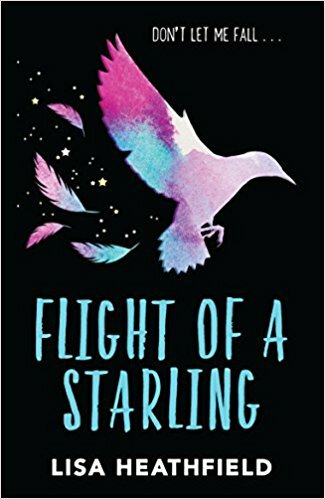 Flight of a Starling is a heartbreaking read with an important message. You can buy any of Lisa’s books here or from your local bookshop! Hi Lisa! I’m so happy to have you here on Tales again! You are one of my absolute favourite authors so it’s an absolute honour. So here’s how this will work…. We each ask each other a question. Any question. About anything at all. And we both have to answer! Lisa – Our boys’ hair. From when they were babies to now, it’s the best smell ever. Chelle – For me its a toss up between talc powder (that fresh baby smell) and Lush Snow Fairy shower gel! I have to buy it every Christmas! Name a favourite memory from your childhood. Lisa – Lying on my belly in the grass reading a book. Lisa – Either in the Brighton sea in winter, or in the middle of nowhere on the Isle of Mull in Scotland. Chelle – Kind of related to my above answer, but one of my fave places is a little place called Arley near Bewdley. I spent a lot of time there when I was younger and when I visit there now it just makes me relax. It’s so peaceful and full of so many memories. Name the last thing that made you smile. Lisa – hugging my boys this morning. Chelle – Same for me too…..hugging my son! So much love in one hug! Lisa – Any and every Gospel song. 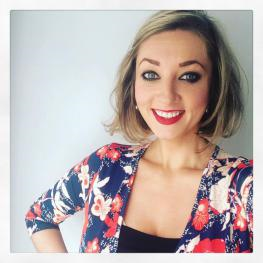 Chelle – Mine is so different! I have so many it hard to pick just one! If I had to chose I would say Smells Like Teen Spirit by Nirvana! So much of my teenage years revolved around this song! From blasting it out on my stereo to trying to learn it on guitar! I love it! Even to this day when it comes on my Spotify playlist I have to turn the volume up! Chelle – In complete contrast my favourite ever line from a song is “I’ll never let your head, hit the bed, without my hand behind it” from Your Body Is A Wonderland by John Mayer. Yes it’s cheesy and embarrassing but that one line is just pure love and romance to me! What is you favourite book? 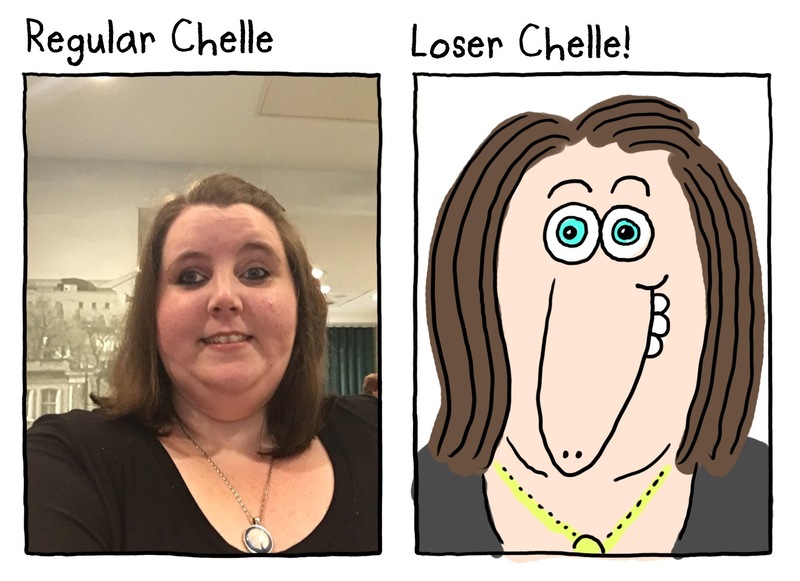 Chelle – As we were only meant to pick one Lisa and you picked three 🙂 …. I am cheating and picking two! Watership Down by Richard Addams and One Day by David Nicholls. Both very different books but both so brilliant! I love them! Chelle – I’m not sure I have a favourite word! What does that even mean?! Should I have a favourite word? Hmmmmmmm…..I am going to say “love” just to go along with my cheesy theme above! 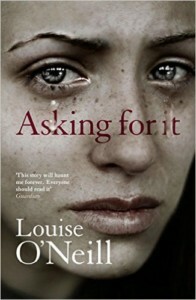 Lisa – ‘My mother is a fish.’ – From As I Lay Dying. 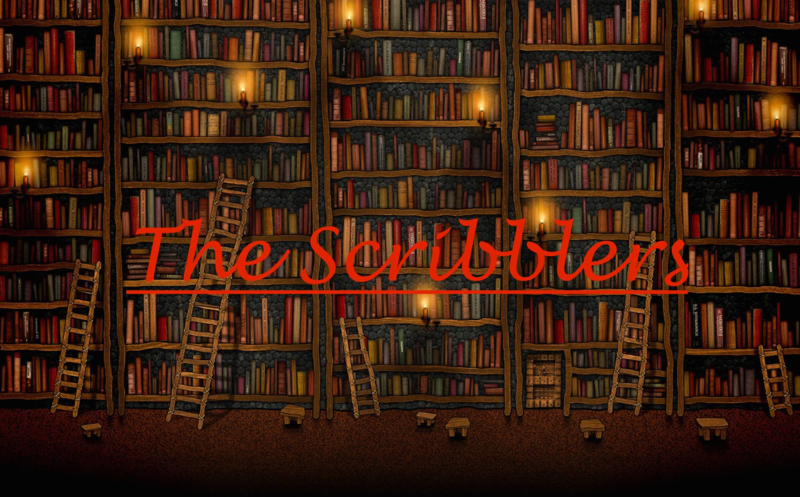 Chelle – This changes quite a lot for me as sometimes I read a sentence in a book and get swept away completely by just that one line and I think wow. But I do have a favourite line that left me quite breathless if that’s even possible when I read it…… “I fell in love the way you fall asleep: slowly, and then all at once” from The Fault In Our Stars by John Green. Pure perfection in a sentence. Name a book you want to read, but haven’t yet! 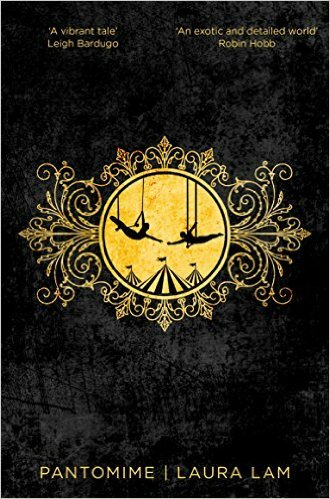 Chelle – Good call with Wuthering Heights as I have never read it either! Even though I keep saying I will! I have so many books and so little time, but I think for me it’s To Kill A Mockingbird by Harper Lee. 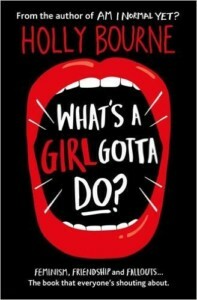 Why have I never read this?! 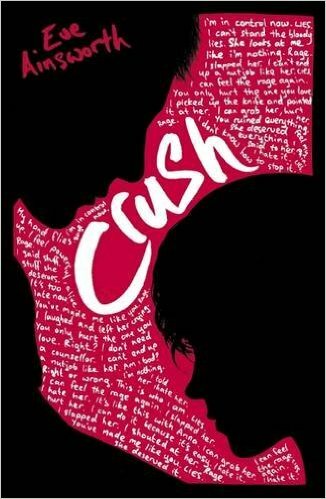 Lisa – It changes, but at the moment it’s Moonrise, by Sarah Crossan. I’ve also given a fair few people The Book Thief. And Malorie Blackman’s Noughts and Crosses. 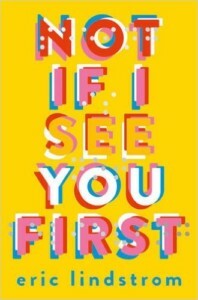 Chelle – Mine changes too and without sounding too cheesy I would give your books, Lisa, as presents as they are all wonderful! I would also include All The Bright Places by Jennifer Niven and One Day as those books have my heart! Lisa – if it could be absolutely anywhere, it’d have to be in a field with really long grass and me and a book sunk into the middle of it where no one can see. Chelle – I love to read sitting on the hill at my favourite place mentioned above. Other than that snuggling up in bed for a good read is perfect! And your favourite place to write? 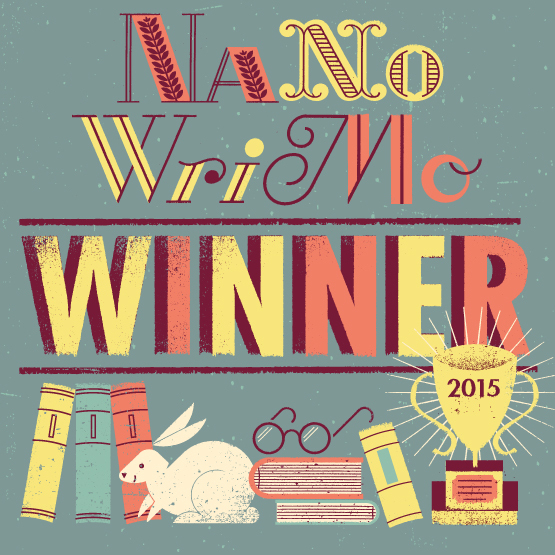 Lisa – I write every day at my kitchen table and that’s a nice place to be. Chelle – I normally just write at my desk in my little office at home, but I attended a writing outdoors workshop at YALC a few years ago and it’s honestly so inspiring to sit and listen to all the sounds around you whilst you are writing! Lisa – The Hunger Games – not just because it’s brilliant, but because I would love to spend months in that world with those characters. Chelle – One Day by David Nicholls. What a book! Or basically any book that makes you feel such emotion that you cry just thinking about it! I would love to write something that people have that much of an emotional connection to. 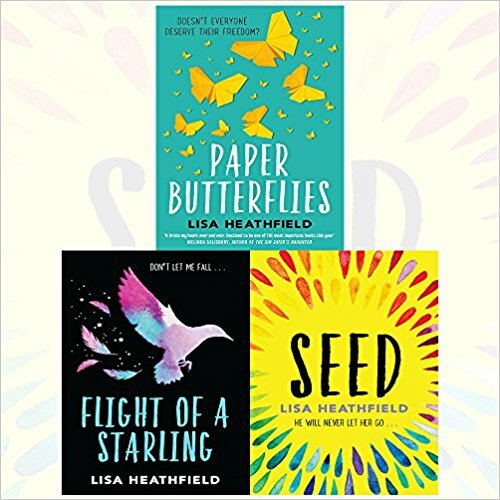 Award-winning author Lisa Heathfield launched her writing career with SEED in 2015. Published by Egmont it is a stunning YA debut about a life in cult. 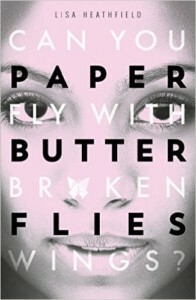 PAPER BUTTERFLIES is her beautiful and heart-breaking second novel. FLIGHT OF A STARLING, her third novel is equally heart-breaking and contains an important message. 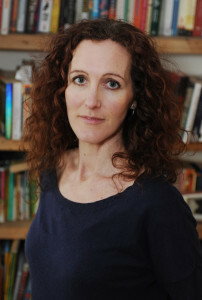 You can find previous Lisa Heathfield related posts on Tales by clicking on the below links! 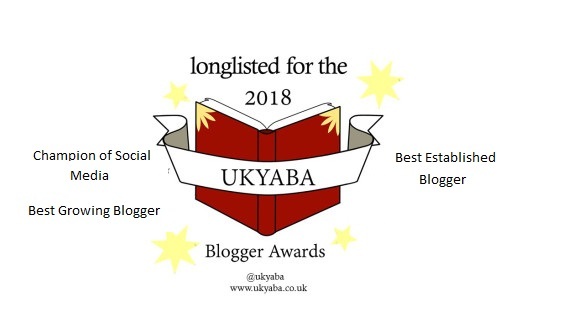 With thanks to the lovely people at Electric Monkey myself and YA Shot 2 sets of Lisa’s books to giveaway to two lucky winners! 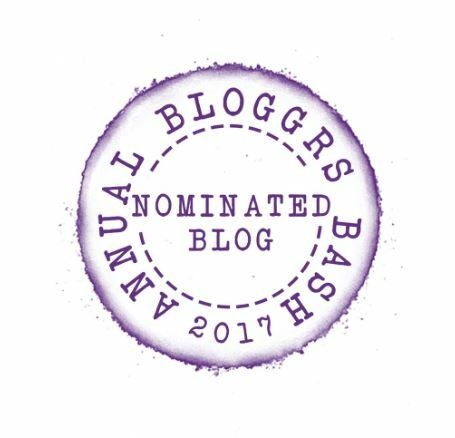 A huge thank you to Lisa for such a fab post and for asking me to join in and to Electric Monkey for the giveaway. Also a huge thank you to YA Shot for having me and for pairing me with Lisa. Have you read any of Lisa’s books? Are you intrigued? Are you going to YA Shot? I would love to hear from you! 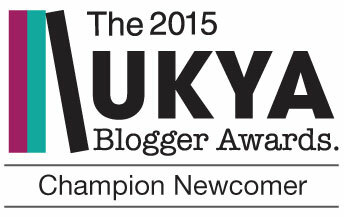 Why not leave a comment using the reply button at the top of this post or tweet me on twitter using @chelleytoy ! 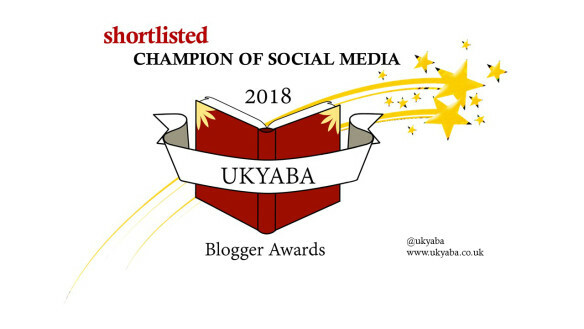 This entry was posted in Author Q&A, Contemporary, UKYA, YA and tagged Electric Monkey, Flight Of A Starling, Lisa Heathfield, Paper Butterflies, Q&A, Seed, UKYA, YA, YA Shot on March 28, 2018 by Chelley Toy. 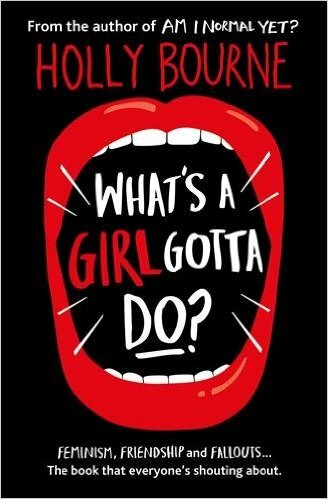 In light of the brilliant Waterstones book prize being announced on Thursday this week, 17th March 2016, the lovely people at Electric Monkey thought that it would be the perfect time to share a very exciting final cover reveal! 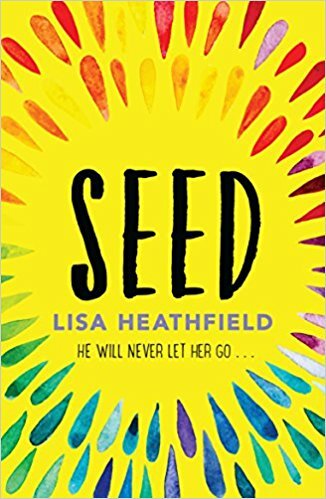 You can find out more about the Waterstones Children’s Book Prize 2016 and the shortlist here where Seed by Lisa Heathfield amongst other brilliant books have been shortlisted! 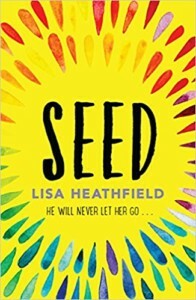 It’s no secret that I read and loved Seed by Lisa Heathfield last year! I, as well have others, have been waiting in anticipation for Lisa’s next book a standalone called Paper Butterflies ever since it was announced! I squealed with delight when the proof copy arrived through my door last month! 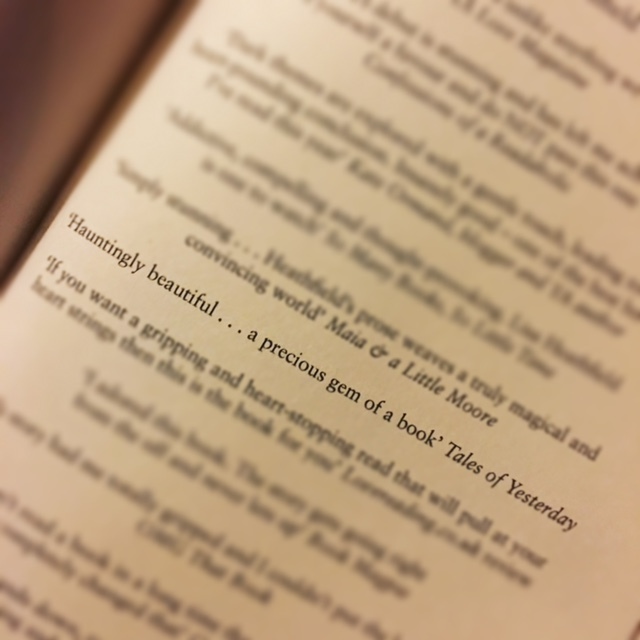 I was also so excited to see a quote from my review of Seed inside the proof! 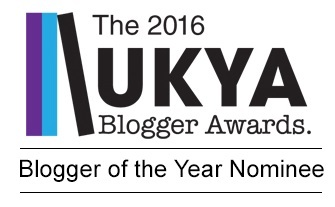 The first time this has happened to me since I started blogging! 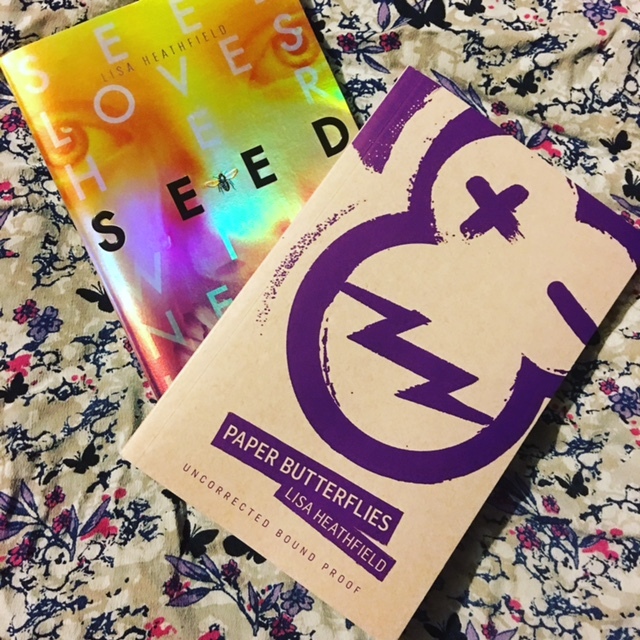 I have read and loved Paper Butterflies so much! I had Paper Butterflies fluttering in my tummy. 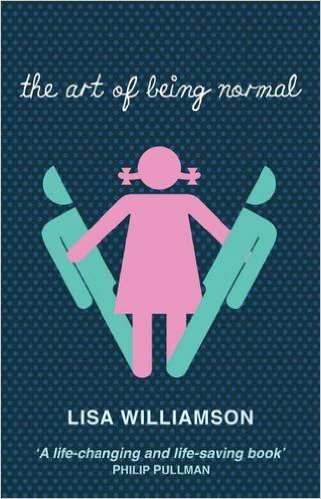 An emotional tale of an abusive childhood, growing up, friendship, love, forgiveness and choosing left or right. 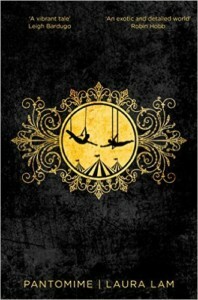 My full review of Paper Butterflies will follow shortly on Tales, but first lets gets down to business! 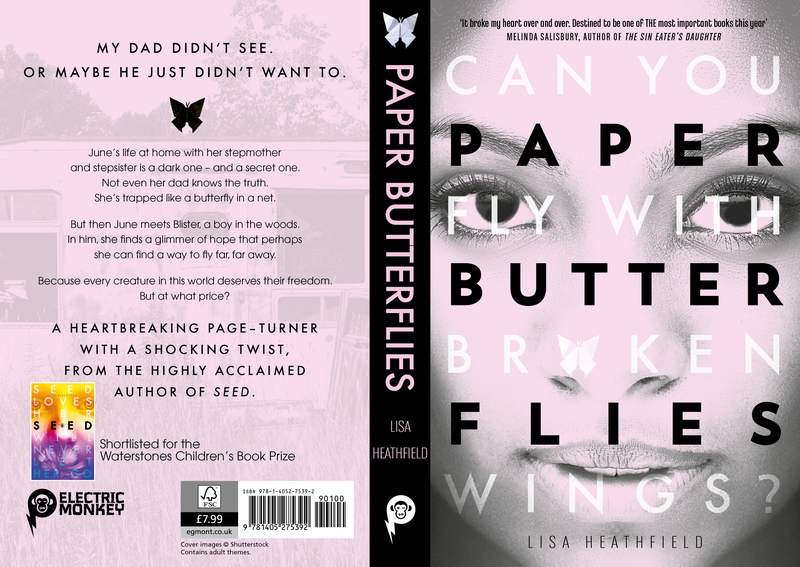 I am so over the moon to reveal the final beautiful cover for Paper Butterflies by Lisa Heathfield! I think it captures so many things about this wonderful book! The paper butterfly, June’s face, the faint outline of the woods and caravan on the back of the cover and a beautiful spine! I cannot wait to see it on the shelves on the 30th June 2016! 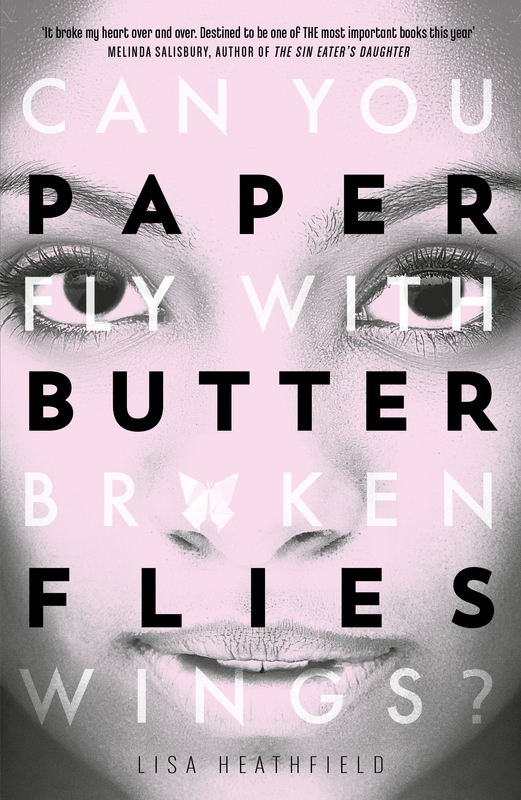 Check out the Paper Butterflies trailer below! A huge thank you to Maggie and the team at Electric Monkey for asking me to feature this fab cover! What do you think? 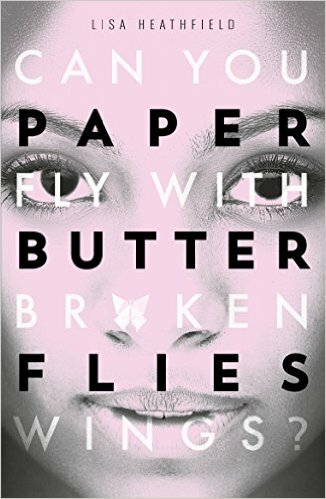 Have you read Paper Butterflies or are you excited about it’s release? I would love to hear from you! 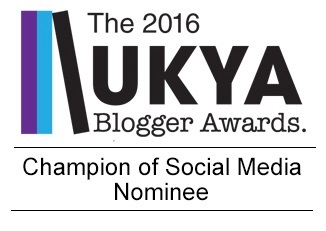 Why not leave me a comment using the reply button at the top of the post or tweet me on twitter using @chelleytoy ! 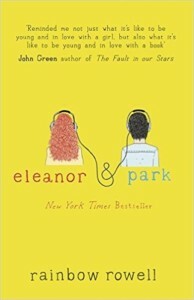 Happy Reading and grabbing for those tissues! 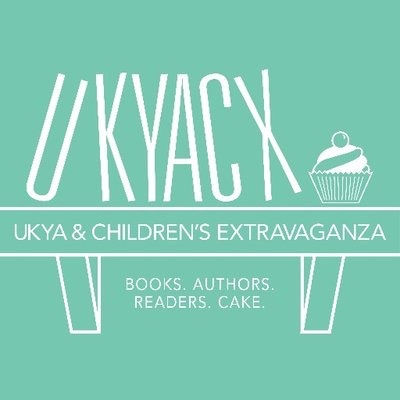 This entry was posted in Contemporary, Cover Reveal, UKYA, YA and tagged Contemporary, Cover Reveal, Electric Monkey, Lisa Heathfield, Paper Butterflies, UKYA, YA on March 14, 2016 by Chelley Toy.